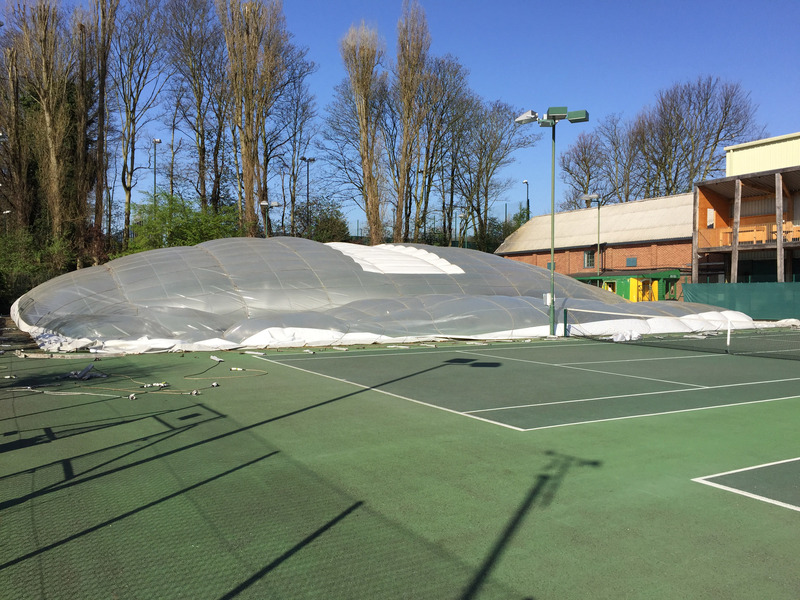 A sure sign that winter is well and truly behind us, the AJ Tensile crew attended Coolhurst Tennis and Squash Club in Crouch End, London this week for the annual tennis dome removal in time for the summer season. The whole operation of deflation, packing and on-site storage takes less than a day, generating no mess and with minimal disruption. 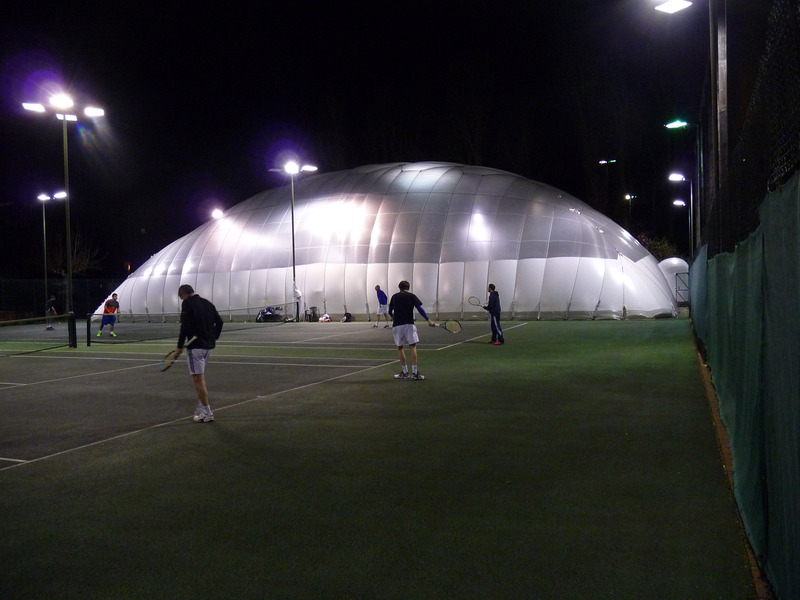 Our inflatable fabric dome allows the club to offer year-round play in anything the British weather can throw at it, allowing natural light in during the day and using an ingenious reflective floodlight system for night-time illumination. 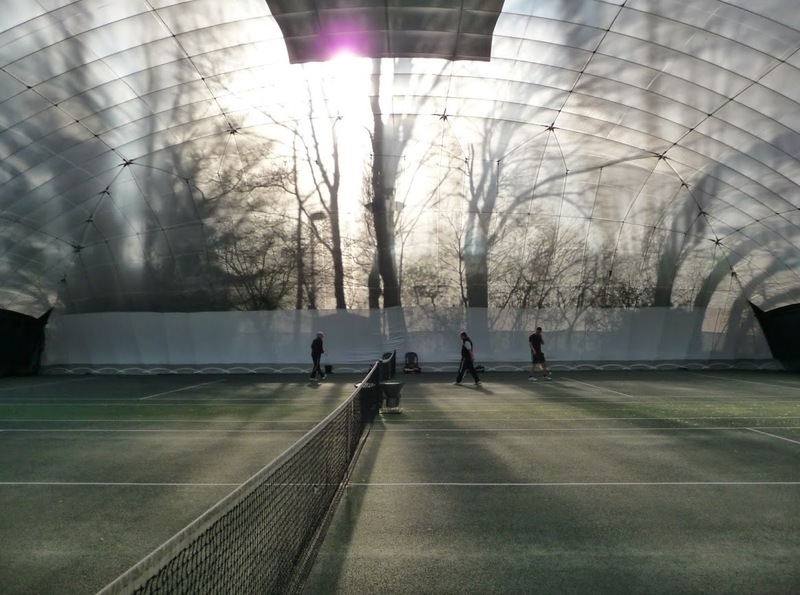 Give us a call on 01291 425099 if this is the type of protection your club needs to keep club members happy and revenue flowing uninterrupted throughout the year. Mounted on top of a steel plinth, this small BioSphere gasholder was recently installed by our Biogas team at Kilmington, near Axminster in Devon for South West Water. 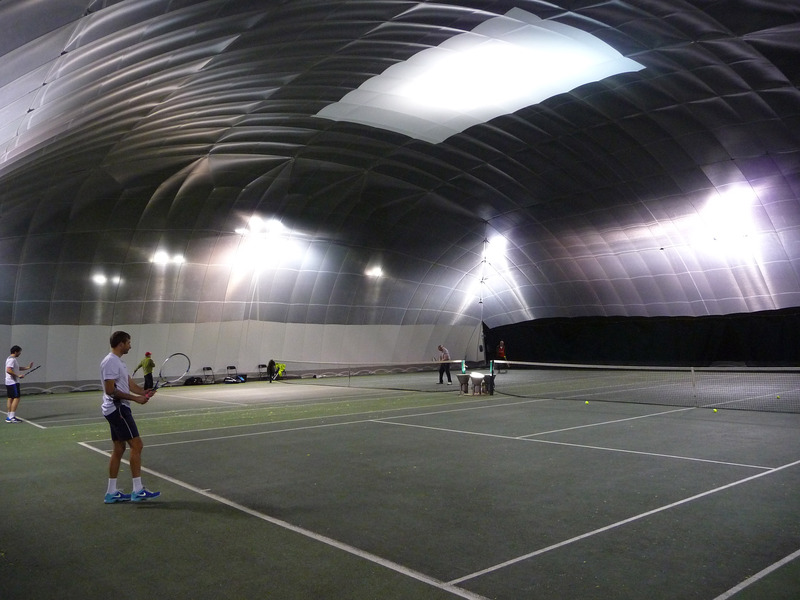 Measuring 200 cubic metres when fully inflated, the dome was designed and manufactured at our production plant in Caldicot in close collaboration with our client Nomenca Ltd, with ductwork and piping manufactured by Grail Engineering to our design. 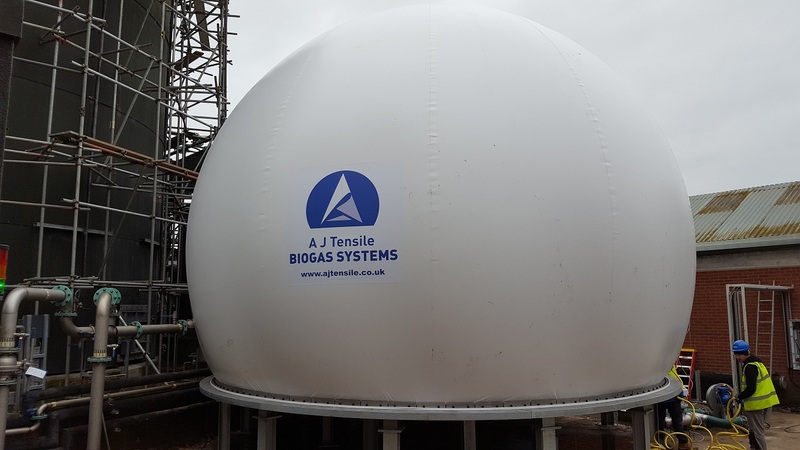 Our Biogas division recently completed a medium-sized gasholder for a South West Water plant at Hayle near St Erth in Cornwall. 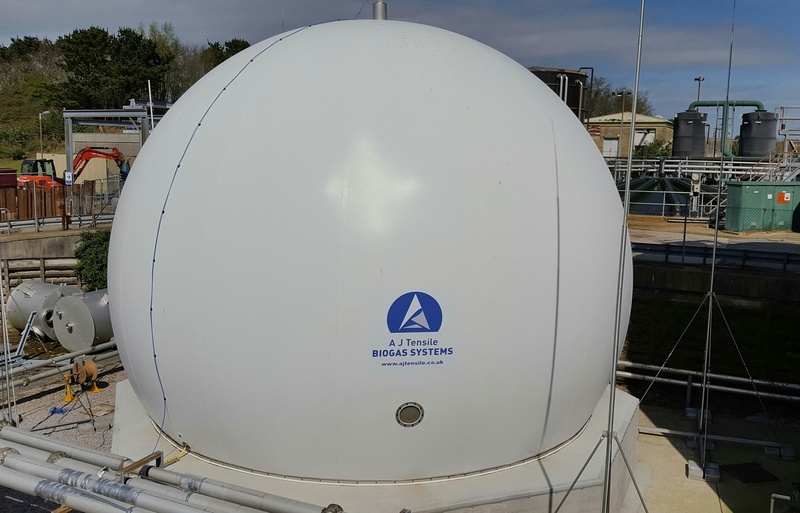 Measuring 570 cubic metres, the Polyester-reinforced PVC BioSphere gas dome was designed and manufactured at our production facility in Caldicot in close collaboration with our client, Tecker Ltd, and installed on top of an elevated concrete plinth. 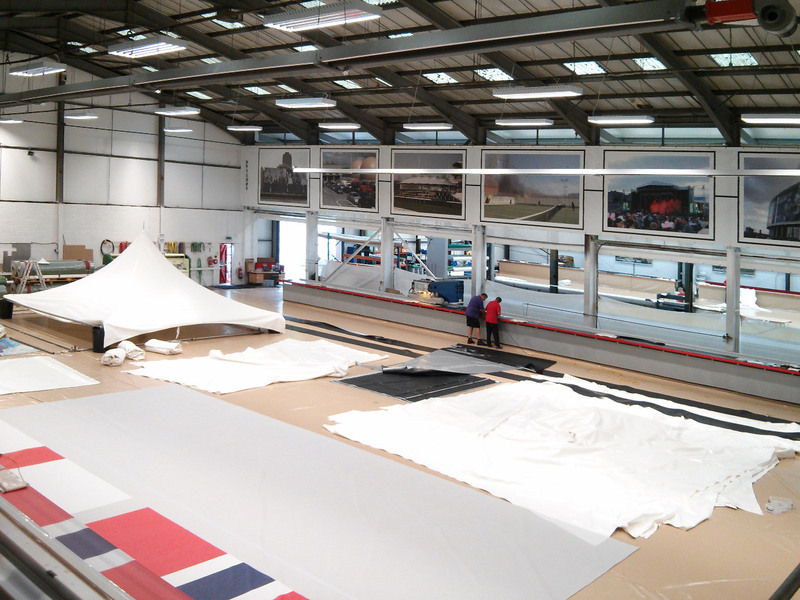 Ductwork was manufactured and supplied by Compass Ltd to our own design. For increased accuracy a laser level sensor was selected to monitor the storage volume rather than the alternative ultrasound sensor. Our busy production department is now recruiting! Please send your CV to office@ajtensile.co.uk for an exciting and rewarding opportunity to join our team of dedicated staff, working on the manufacture of prestigious projects for major corporations. HF plastics welding experience would ideally be preferred but is not essential, as full on-the-job training will be given. You are already on our website so hopefully have a flavour of the type of work that we produce and the type of projects that you could be involved in.